The Anne Arundel County Police have released a statement on yesterday’s stabbing and road rage incident in Gambrills. On February 20, 2012, at approximately 4:00 p.m., officers from the Western District responded to the area of Route 3 North and Churchview Road for a report of a stabbing and traffic crash. Upon arrival, officers found two heavily damaged vehicles in a drainage ditch at the Honda dealership. Officers also observed several people at the scene who were injured. 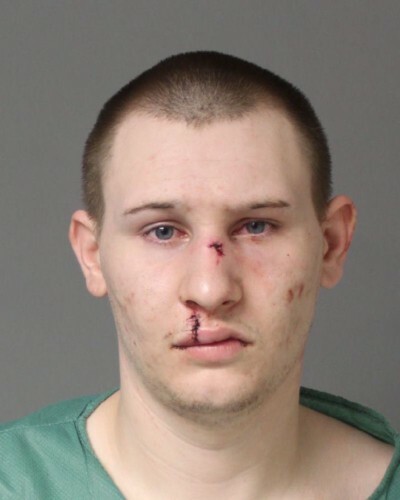 The investigation revealed that an altercation took place between the 44-year-old male driver of a 2002 Ford Explorer and the 23-year-old male passenger of a 2007 Chrysler PT Cruiser in the area of Route 3 North and Riedel Road. Witnesses at the scene reported observing the driver and passenger of the Explorer exit their vehicle and exchange seats at a prior intersection, where words were initially exchanged between the driver of the Ford and the passenger of the PT Cruiser. Once the vehicles arrived at the intersection of Route 3 North and Riedel Road, the driver of the Explorer got out of his vehicle and confronted the passenger of the PT Cruiser. Words were exchanged resulting in the passenger of the PT Cruiser stabbing the operator of the Explorer in the upper body. The PT Cruiser then fled north on Route 3. From there, the driver of the Explorer pursued the PT Cruiser and ultimately forced it off the road in a collision. At the scene of the collision, the passenger of the PT Cruiser exited the vehicle and confronted the driver of the Explorer. A fight ensued and the driver of the Explorer subdued his assailant until police arrived. Both the stabbing victim and the assailant were ultimately transported to Shock Trauma in Baltimore. As a result of the collision, the 22-year-old female driver of the PT Cruiser and two passengers in the Explorer were also taken to area hospitals for treatment of non-life threatening injuries. All of the injured parties sustained non-life threatening injuries. Route 3 was closed in the northbound direction at McKnew Road for a short period of time during the investigation and for treatment of the injured subjects. It does not appear at this time that any of the parties involved knew each other. The investigation is ongoing.